fourclops ::) is a forward-thinking interactive directing team consisting of Eli Stonberg and Jeff Greco. Their playful creative curiosity has led to left field ideas such as a music video coloring book, real life X-ray glasses placing the viewer in hidden worlds, and hacking sushi, cats, chicken nuggets, etc. to make music. Uniting their strong backgrounds in filmmaking and web development, Eli and Jeff have discovered clever and cutting edge ways to fuse technology with video. A major theme in their work is personalization, allowing the user to create their own artwork while watching. Their custom-built interactive experiences capitalize on the latest trends in technology, and have featured techniques such as holograms, large-scale crowdsourcing, Facebook Connect, Twitter Cards, choose-your-own-adventure narratives, webcams, clickable video and more. 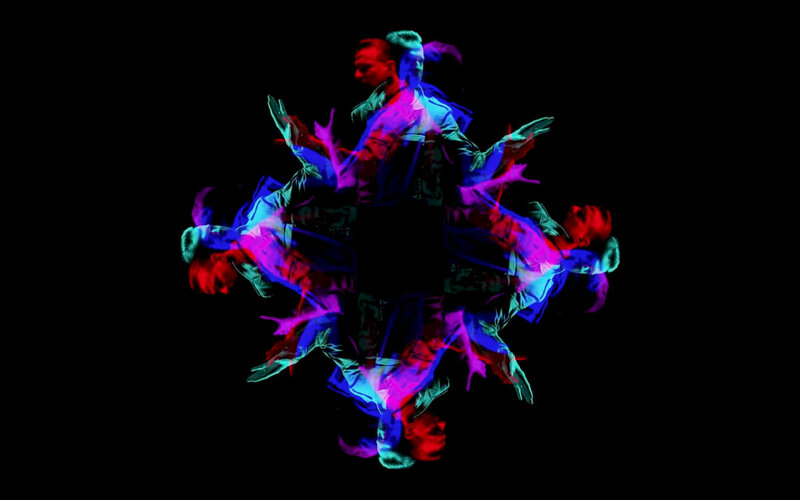 Their recent project for Dave Gahan & Soulsavers is the world’s first holographic music video made to be watched by home viewers on a smartphone or tablet. The hologram was featured on Jimmy Kimmel Live!, as an installation during Gahan’s live tour, and in outlets ranging from Entertainment Weekly to Fast Company. The pair won a 2015 Webby Award in the Experimental & Weird category. Their campaigns have also been nominated for a 2012 Webby Award for Interactive Advertising + 2014 Video Remixes/Mashups, “Most Innovative Music Video” in the O Music Awards, as well as receiving 5 Vimeo Staff Picks. Their past clients include Old Spice, Pepsi, Coca-Cola, Blu Dot, Summit Entertainment, Smirnoff, Google, The Boston Globe, NBC News, Freedom to Marry, Random House, Lady Gaga’s Born This Way Foundation, Dave Gahan & Soulsavers, Avicii, Birdy, TOKiMONSTA, Passion Pit, Yuna and tUnE-yArDs.